Looking for the best lenses for Sony a7 III mirrorless camera? Here are the top recommended E-mount lenses for Sony a7 III camera. 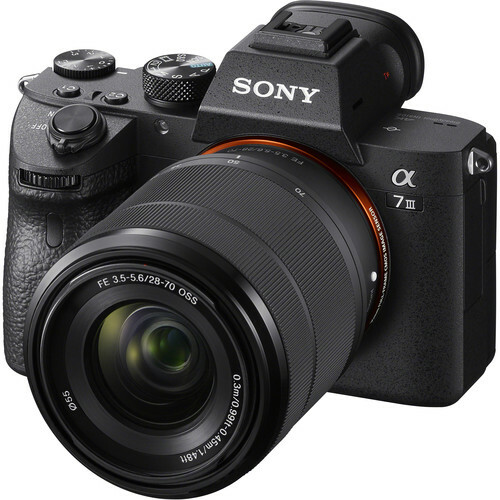 Featuring the updated 24.2MP full-frame BSI image sensor and latest BIONZ X image processor, 693 phase AF points with up to 10fps continuous shooting 4K UHD video and the longest battery life of any mirrorless camera to date, the newly announced Sony a7 III mirrorless camera is a well-rounded camera suitable for both photo and video applications in a variety of working situations. All in one, the Sony a7 III ($1,998 at Amazon, B&H, Adorama) is an amazing mirrorless camera, but you know, when it comes to image quality, your camera is important, but it is the lenses (and your skills) that make the difference between an average shot and a professional-like shot. Here we looked at all lenses from Sony and other companies and selected the best choices for you. Below is the full list of recommended Sony a7 III lenses and you can choose the one you need. Rokinon AF 14mm f/2.8 FE ($849): Great quality and a much better price than the native lenses. Blending an ultra-wide angle of view with a relatively fast f/2.8 aperture, this 14mm lens makes a great option for Sony shooters looking to get a unique perspective that is well suited to architecture, landscapes, and more. It also incorporates three aspherical and two extra-low dispersion elements to reduce aberrations for clean, sharp images. Super wide! Excellent lens! Tokina FiRIN 20mm f/2 FE MF ($799): Super-wide 20mm lens and Extremely fast F/2.0 constant aperture! Being compact and light-weight, the FiRIN 20mm F2 FE MF lens has exceptional optical performance due to its perfectly placed two all-glass precision molded aspherical elements included with 3 Super-Low Dispersion (SD) glass lens elements that greatly reduce aberrations and yield higher resolution and contrast. Sony FE 100mm f/2.8 STF GM OSS ($1,498): A unique 100mm mid-telephoto lens featuring STF (Smooth Trans Focus) technology that can elevate portraits and subjects that benefit from smooth background bokeh to new artistic heights while boasting G Master resolution. It features fast, precise, quiet DDSSM autofocus, and close-up capability up to 0.25x magnification. Sony FE 85mm f/1.8 Lens ($598): Budget option with great performance: perfect sharpness and bokeh! This affordable Sony 85mm F1.8 FE lens features a compact, lightweight design for mobility, with high-performance optics and a large F1.8 maximum aperture that deliver outstanding image quality. Sigma announced nine new Art Prime Lenses for Sony E-mount for CP+ 2018. While offering the same high-performance optical design as other lenses in the Art line, the new Sony E-mount models will feature a newly developed control algorithm that optimizes the autofocus drive and maximizes the data transmission speed. The lenses will be compatible with in-camera image stabilization. The E-mount camera senses the focal length of the lens and automatically optimizes image stabilization performance. Offering outstanding image performance, Zeiss Loxia lenses are all excellent manual focus lenses designed specially for Sony full frame E mount cameras. If you want to get the best sharpness, like using more compact lenses, star flares and old-fashioned zone focusing and the feeling of a mechanical focus ring, the Zeiss Loxia lenses are great choices for you. You can choose the one you need! Voigtlander full frame E-Mount Manual Focus Lens line-up includes the widest full frame E- mount lens ever made: Heliar-Hyper Wide 10mm f/5.6, plus the 12mm f/5.6 III, 15mm f/4.5 III and the Nokton Classic 35mm f/1.4 & Nokton 40mm f/1.2.